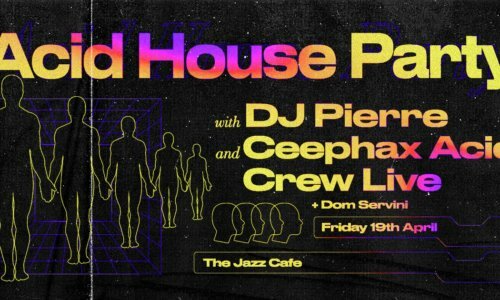 It’s an anglo American acid house special at Jazz Cafe as we welcome Detroit legend and Phuture co-founder DJ Pierre alongside a rare live performance from the UK’s almighty Ceephax Acid Crew. DJ Pierre is the well documented creator acid house in the 1980s, thanks in part to his seminal anthem ‘Acid Tracks’ when whilst with his group Phuture. He is one of the few artist who can rightfully claim to have defined and pioneered a brand new sound which has influenced generations to come, so calling Pierre a legend is almost an understatement.